The Twitch Mobile Software Development Kit (SDK) will allow mobile game players to become active broadcasters. Video platform Twitch announced today a game development tool designed for broadcasting, capturing, and archiving of mobile games. Twitch Mobile Software Development Kit (SDK) will expand the use of the Twitch mobile app for iOS and Anroid. Twitch reported the mobile app has been downloaded over 10 million times; however, the current app allows users only to view game streams. The SDK for mobile devices will give users the ability to stream their mobile games. 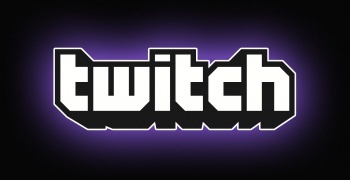 Twitch already offers an SDK for consoles and PC developers. "Our vision is to provide the Twitch community with the ability not only to view, but to broadcast live video game content wherever they are, whether they're on the go or in the living room," Twitch marketing executive Matthew DiPietro said in the press release. "We've achieved that with our PC and console integrations, so the trifecta will soon be complete with our deep and concerted foray into mobile broadcasting." Like the console and PC SDK features, the Twitch Mobile SDK will offer multiple features, including the ability to capture and broadcast gameplay video and audio, video capture from the mobile device's front-facing camera, audio capture via an internal or external microphone, video archiving and sharing, toggling of broadcast quality, chat options, and discovery of related broadcasts. Twitch broadcasting is already available on the PS4 and will come to the Xbox One on March 11.